HGM6300G Series generator controller integrating digital, intelligent and network techniques is used for automatic control system of diesel generator. Also have GSM the message remote control and message warn the function of hinting .It can carry out functions including automatic start/stop, data measure and alarming. 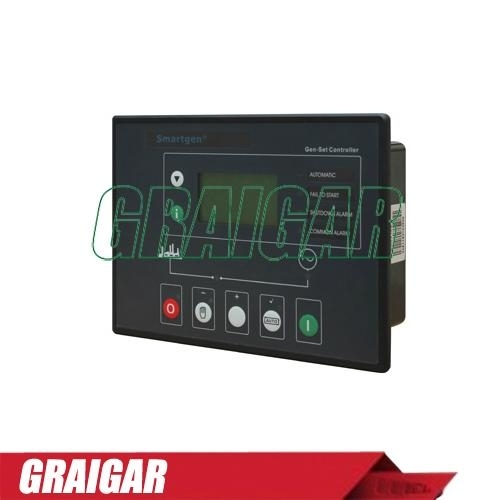 The controller uses LCD display, optional Chinese and English display interface with operation easy and reliable. HGM6300G Series generator controller uses micro-processing technique which can carry out precision measure, constant value adjustment, timing and threshold setting and etc. of multi-parameters. It can be widely used in all types of generator automatic control system for compact structure, advanced circuits, simple connections and high reliability. ◆ Using microprocessor as a core, graphics LCD with big screen and backlight, display between Chinese and English, key touch for operation. ◆ Parameters setting: Allow user to modify setting and store them inside internal FLASH memory, the parameters cannot be lost even with power down. ◆ Security password-protected programming levels. ◆ Modular configuration design, inserted type connection terminals, flush type installation, compact structure, easy installation.